The title of this is much more interesting than the story behind this post. 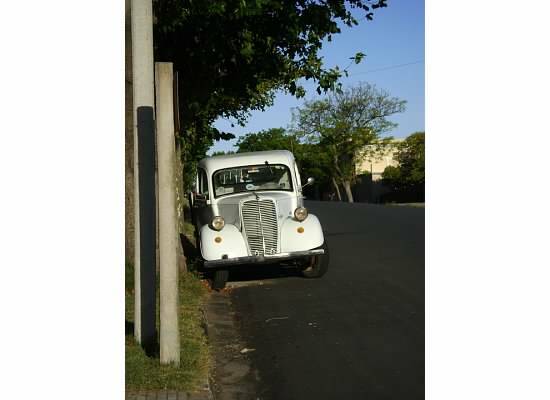 As I explored Colonia on my first day in town, I saw this car at least five times. I don’t know if it was the same car, or if there are many, but it kept popping up all day and finally I just took a photo. I’m not sure why but this photo makes me smile and I just wanted to share. This entry was posted on Friday, August 24th, 2012 at 1:18 pm	and tagged with uruguay and posted in career break, just silly, observations, things that make me smile. You can follow any responses to this entry through the RSS 2.0 feed.